The mere prospect of a car from Apple is sending shockwaves across the tech world. So, what could Apple be planning exactly? 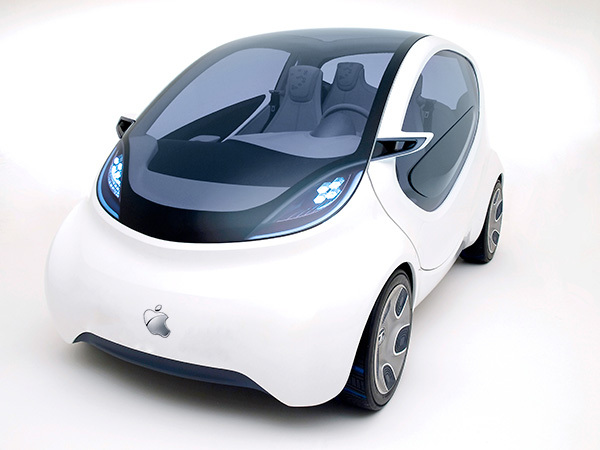 The most salient rumor so far is that Apple is developing an electric car to challenge Tesla. Which begs the question that just about everyone is asking: How does Apple get from an iPhone to a car? Though a car is a big leap from a handheld device, the reported move by Apple shouldn’t be a complete surprise. With Tesla leading the way on electric cars and Google working on self-driving car technology, the hub of leading-edge car technology is shifting to Silicon Valley. That’s because the car is quickly becoming a complex mobile device: a rolling computer loaded with chips, software, and wireless connectivity. And higher-end cars are brimming with artificial intelligence that controls the car’s operation, prevents crashes, and responds to voice commands. Several hundred Apple employees are working “secretly” on an Apple-branded electric vehicle, according to The Wall Street Journal, citing sources. Code-named “Titan,” the initial design is said to be similar to a minivan. The car would be self-driving, according to Reuters. The focus is on “electric and connected-car technologies, while studying the potential for automated driving,” Reuters reported, citing a source. Apple has met with manufacturers including high-end vehicle contract manufacturer Magna Steyr, according to The Wall Street Journal. Customers of Magna Steyr – a unit of Canadian auto supplier Magna International – include Chrysler, Mercedes, and BMW. Apple may be exploring limited initial manufacturing by partnering with an outside manufacturer like Steyr. Which makes sense since electric cars are still produced in relatively small quantities. Apple CEO Tim Cook approved the project a year ago, according to the Journal. Product design Vice President Steve Zadesky – a former Ford engineer – leads the group. Zadesky was one of the leaders at Apple that developed the iPod and iPhone. The team, working at a secret location near Apple headquarters in Cupertino, is “researching different types of robotics, metals and materials consistent with automobile manufacturing,” the Journal said, citing sources. Time reported that star designer Marc Newson, who joined Apple last year, already has experience in car design. Newson designed the Ford 021C concept car that was shown at the Tokyo Motor Show in 1999. Apple already offers CarPlay. CarPlay puts popular iPhone functions on a big screen inthe car’s dashboard, offering voice control and interaction through Siri in order to make using the iPhone eyes- and hands-free. Needless to say, those are problems Apple is likely working on right now, but Professor Gordon has a point. Designing and building a self-driving electric car would probably be Apple’s greatest technological challenge yet. So, don’t expect to find an Apple car dealership sandwiched between a Cadillac and BMW dealer on auto row any time soon.